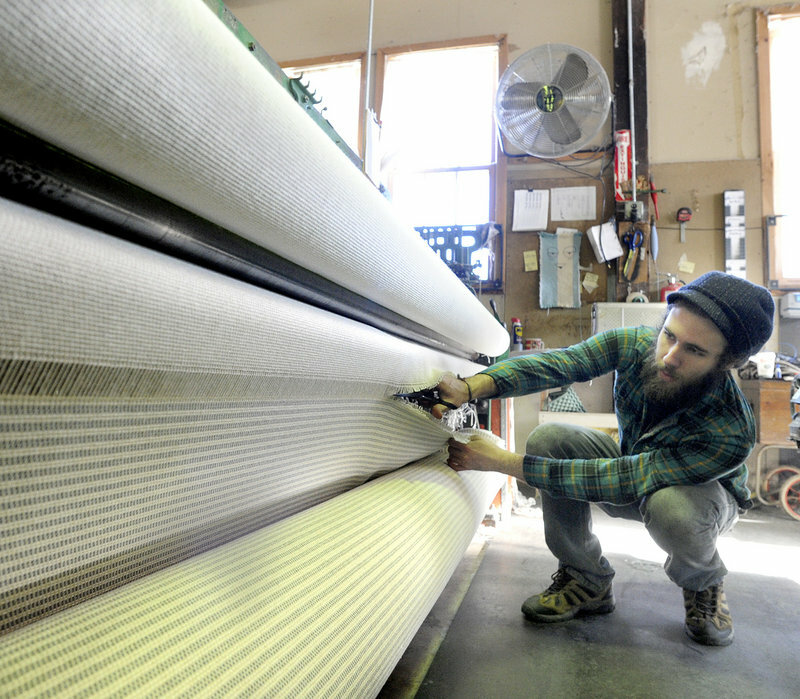 Several small blanket makers are keeping the state's rich textile tradition alive. With temperatures dipping into the single digits this past week, lots of Mainers were probably thinking about getting better blankets. A good, solid, heavy, made-in-Maine blanket. There’s a rich textile tradition in Maine, and several small blanket makers are keeping that tradition alive. They range from makers of organic hand-woven throws and blankets to industrial weavers where blankets are made with mechanized looms run by skilled operators. Either way, if you’re looking for a locally made blanket crafted by your neighbors, you don’t have to look far. It might be cotton, wool or a a combination of fibers. It might be a large bed blanket, a throw or a baby’s crib blanket. 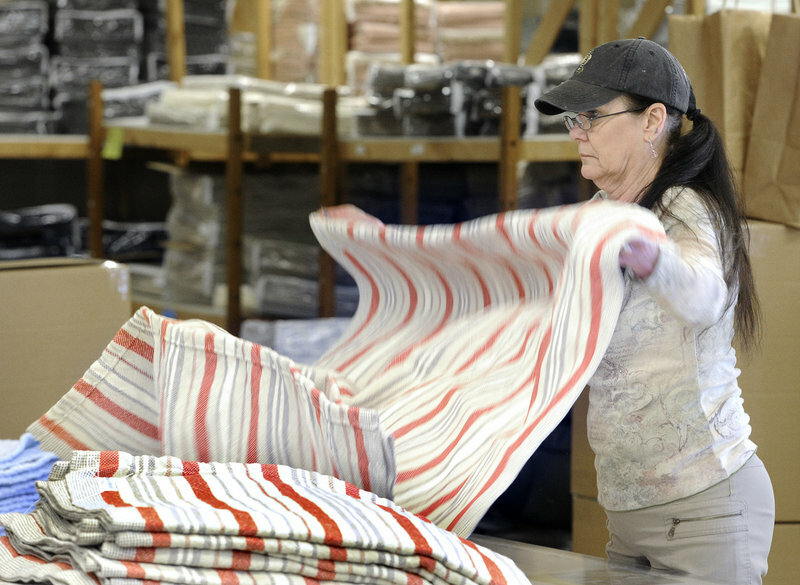 To help you start your winter warm-up, here’s a brief look at three Maine blanket makers. 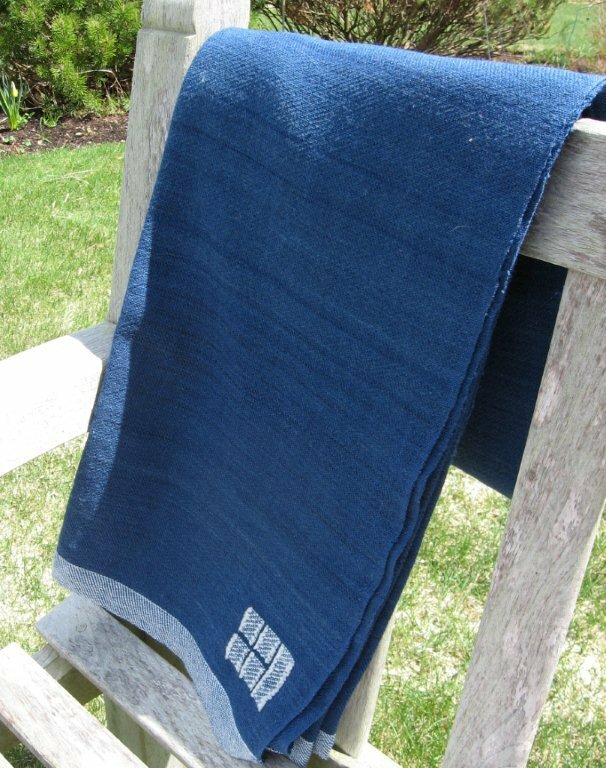 This company — which makes hand-woven products with certified organic fiber — was started in the early 1990s on Swans Island, near Acadia National Park. John and Carolyn Grace had been lawyers in Boston before starting the company, working with folks who raised sheep locally. Today, the company is based in Northport near Belfast, but the blankets and other products are still made by hand in a painstaking way. For instance, workers pick blades of grass out of the wool by hand and do all the weaving by hand. Only natural dyes are used for colors. 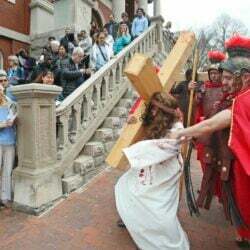 “What I like to tell people is that we’re trying to keep the time-honored methods of hand-weaving on the coast of Maine alive,” said Gayle Lear, who does sales, bookkeeping and customer service for the small company. Many Swans Island blankets — sold online and in Northport — start at about $595. 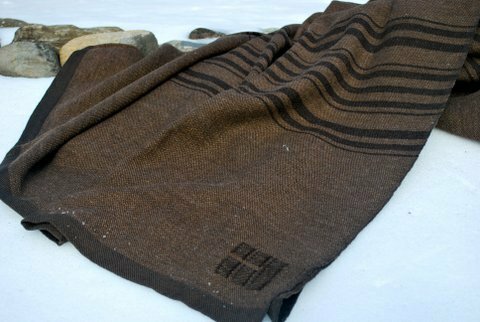 The company’s “rare wool” blanket is listed at $750, while a “winter wool” blanket starts at $1,295. 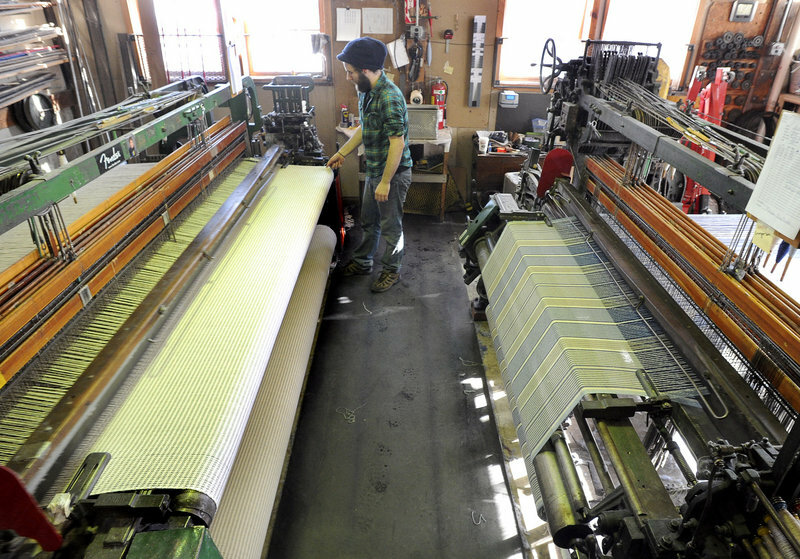 The folks at Maine Woolens will tell you right away that what they do is industrial weaving. Big machines making sturdy blankets. 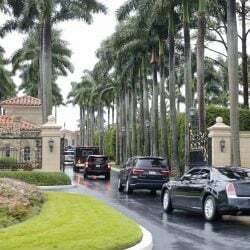 The company started about four years ago by Jo Miller, whose husband, Herb Miller, ran a textile business. She wasn’t “quite ready to retire,” said Boshold, so she started Maine Woolens. 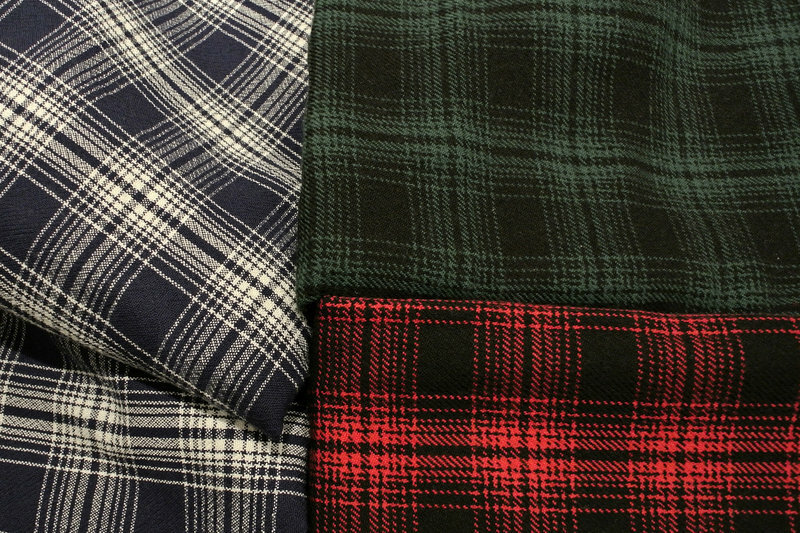 The blankets are cotton or wool, and are piece-dyed at the Brunswick factory. Boshold says his company’s blankets are “competitively priced,” though still more than a basic synthetic blanket at Walmart. 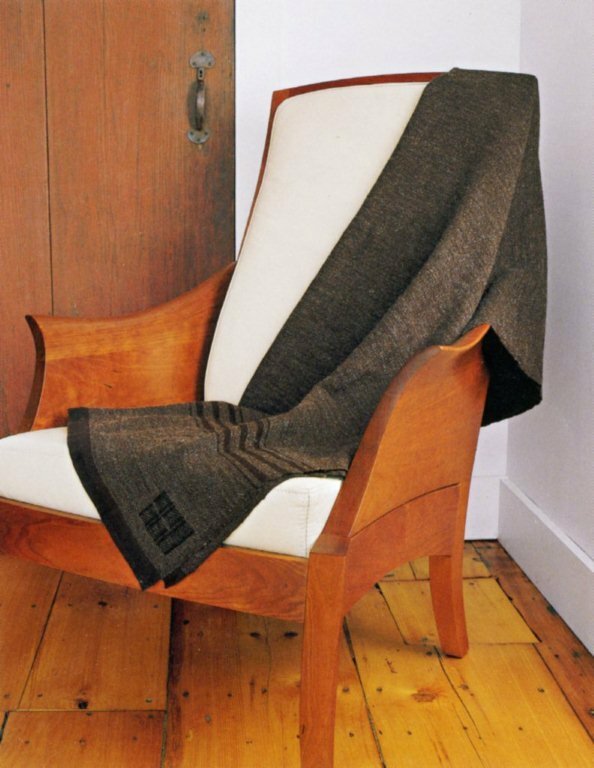 For instance, the 100-percent wool Bowdoin blanket — with Bowdoin College colors — is $239 for a queen size or $92 for a throw. Other similar-sized blankets are in the same price range. But a baby blanket — the Baby Charisma model, for example — is $50. Brahms Mount makes new blankets in an old way. The company uses vintage electric-powered looms salvaged from mills in Biddeford, Lewiston and other New England mill towns. Brahms Mount owner David Kaufman says the old looms make the blankets using a different technique than modern looms, which doesn’t require the blanket to be hemmed. 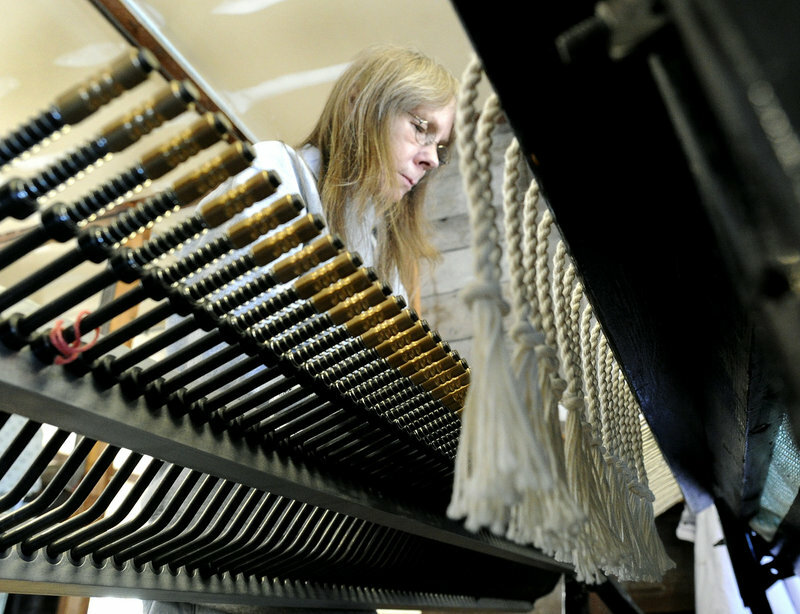 Blankets made on these type of looms are more durable, said Kaufman. “These antique looms are not fast, but they give the blanket a quality of construction,” he said. Kaufman has spent most of his career in broadcasting, and for years ran Portland’s ABC affiliate TV station, WMTW (Channel 8). After retiring from broadcasting, he was looking for another kind of business to get into. 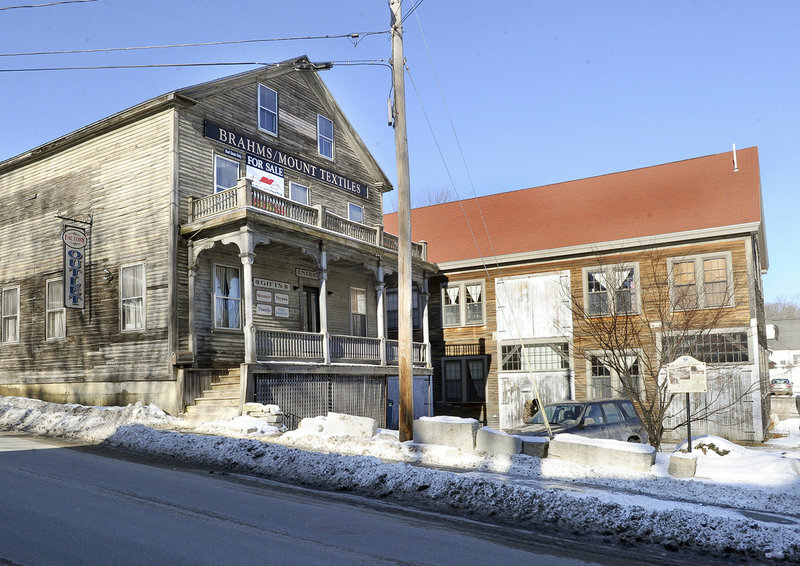 In 2009, he ended up buying Brahms Mount, which had been started in Hallowell more than 25 years ago by Claudia Brahms and Noel Mount. The factory is now housed in a former granite works building in Hallowell, but because of the need to expand, the operation is moving to a larger facility in Monmouth this year, Kaufman said. Brahms Mount blankets are “high-end luxury” blankets sold around the world, and at the company’s retail store at 115 Main St. in Freeport. A Merino wool herringbone blanket starts at $383 for a twin. 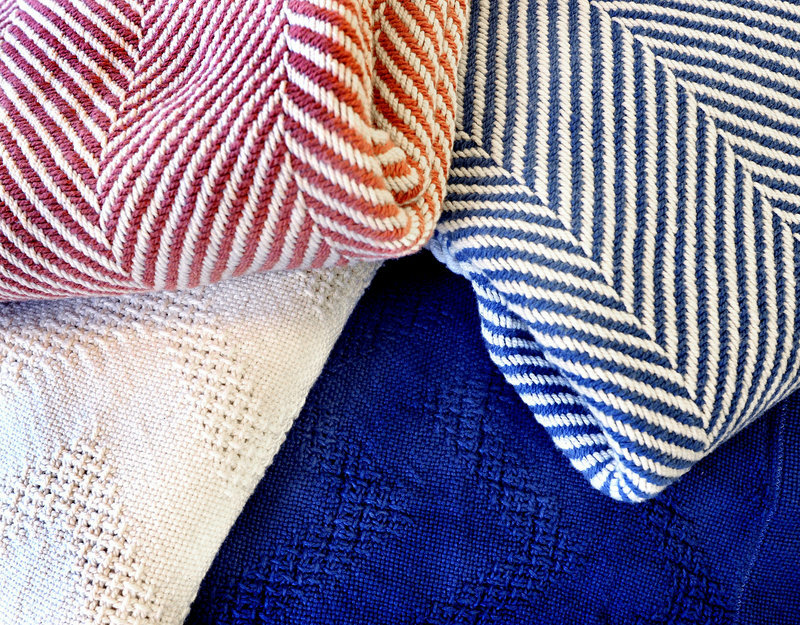 The company’s natural cotton wave blanket — with a delicate, repeated chevron wave pattern — starts at $288 for a twin.